During the 25 years they run restaurant La Stalla, Koen Verhaegen and Pascale Joye have built a solid reputation. Koen is a former pupil at hotel management school Ter Duinen at Koksijde. Together with Pascale, he set up this business with a lot of love. Recently, they received reinforcement. Their son Geoffrey, also a former pupil at hotel management school Ter Duinen at Koksijde, joined them with his girlfriend Valerie. 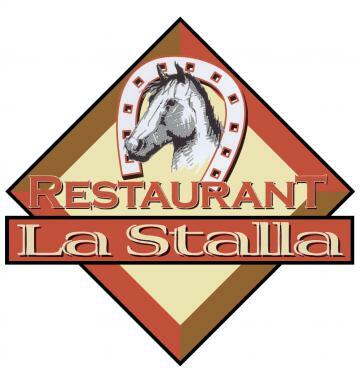 The name La Stalla is Italian for an old barn for horses. The entire interior is based on it. Fire place, oak tables and hidden lights intensifies the particular southern atmosphere. Koen himself works in the kitchen with his son and Pascale is the charming hostess, reinforced by Valerie. "We are a restaurant for everyone." You can have a delicious steak or spaghetti, with a beer or a glass of wine. Every customer is served with equal enthusiasm. Therefore, over the years we have built a fixed clientele, proudly stated by chef Koen. In “La Stalla”, Italian and French specialities have the preference. That naturally includes the homemade pastas and pizzas. The meat preparations that they offer are of the best quality. In addition to a range of fish dishes, also the desserts are not to be sneezed at.